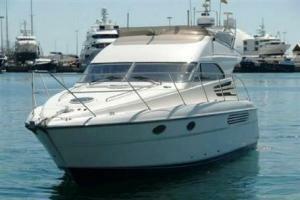 Fairline Phantom 42, 1999 model year. 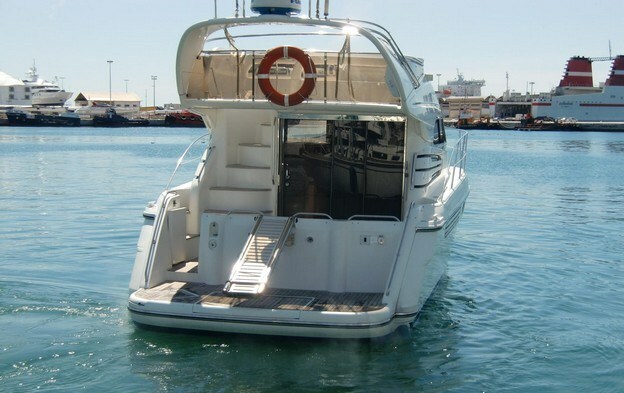 Powered by the larger twin Volvo Penta 370 HP engines with bow thruster for ease of manoeuvring. She sleeps 4 in one double master cabin forward and one twin guest cabin amidships. Overall air-conditioning with generator on board. 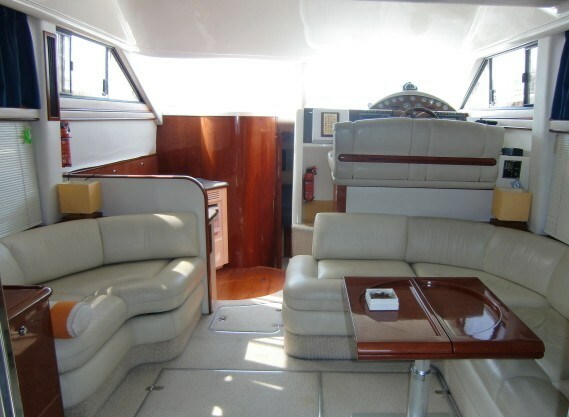 She has masses of living space a spacious and stylish saloon with leather upholstery. 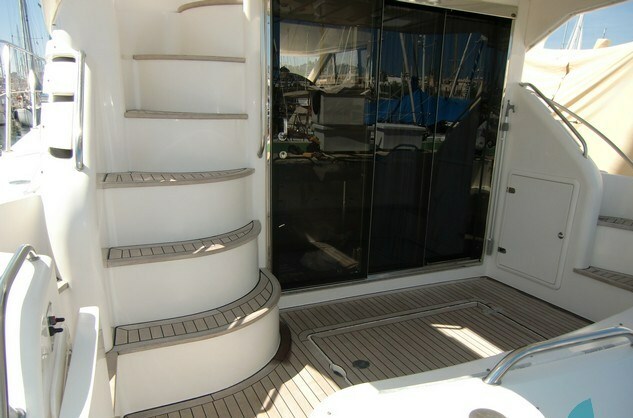 Roomy aft deck, fly bridge and bow sun area. Can hold a maximum of 10 on day charter.